During the Spring 2010 ACI Convention in Chicago, Illinois this past March, the TCA submitted for and was selected to participate in this important workshop with international significance. Sponsored by ACI 318, this workshop brings together presentations on a very broad range of excellence in concrete achievement. In the Dominican Republic, space is a premium. City blocks are built to zero lot lines and the only horizontal space available is that of the public roads and private alleys. This makes urban construction a challenge and requires both care and design creativity to maximize buildable area and quality construction. 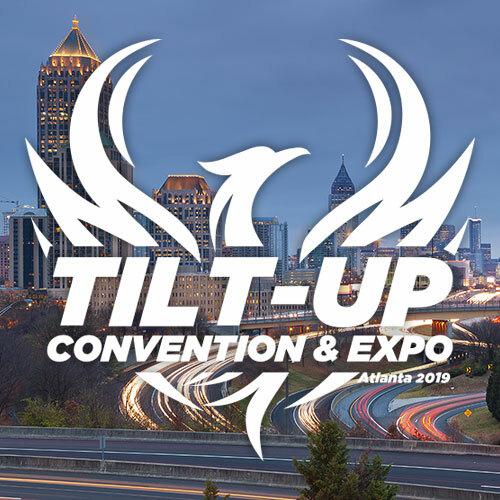 These aspects of design and construction are being met regularly with tilt-up construction, a method traditionally known for sites with a high percentage of site and floor area to wall height. The engineering and construction team of Contratistas Civiles y Mecanicos, SA (CCM), located in Santo Domingo, Dominican Republic, has developed a method using tilt-up construction to deliver multi-story supermarkets with two levels of parking below. This project profile has typically been met with a traditional cast-in-place concrete frame and block infill, rendered with stucco and paint coating. The result, common to buildings throughout the world built in this way, offers little aesthetic value and considerably high maintenance. The modern form for these stores has now been established using site-cast, tilt-up construction to create not only the complete building envelope, but also 50% or more of the structural frames (monolithic beams and columns) that produce the clear span garage structures supporting the levels above. Using site cast elements that are erected with cranes to their designed location requires considerable skill in such a tight confine. Yet, it also maximizes the available site area. Once excavation has been completed, the slab for the bottom level of the parking garage is placed. This becomes the casting slab for stack-casting of the structural frames and the perimeter wall panels. The wall panels are designed to extend from the roofline to the footing below the bottom level of parking. In this scheme, panel heights of 15 m or more are common. The structural frames consist of columns and beams nearly 0.75 m in thickness. Once braced vertically, the remaining connecting beams are cast in place with the tilt-up frames. These projects are quite impressive, even to those with broad experience in tilt-up construction and certainly to those in the cast-in-place industry. 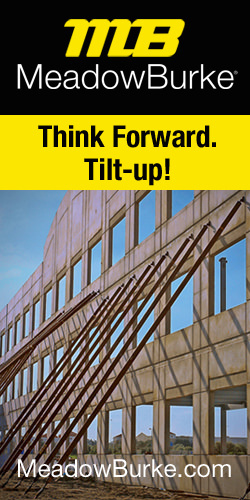 Offering such a unique and innovative application of tilt-up has become a trademark of this engineering and construction firm. Only their dual function of engineering and contracting permits them to think creatively about these opportunities and identify the best fit to achieve results that are unequaled in the region.